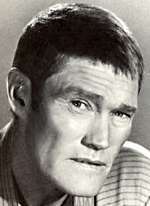 Captain Jason McCord (Chuck Connors) is a West Point graduate who is the sole survivor of a massacre at Bitter Creek. He is judged to have been a coward in the battle and is dismissed in disgrace. In the opening sequence, we see McCord’s commanding officer rip the rank designations and decorations from his uniform. 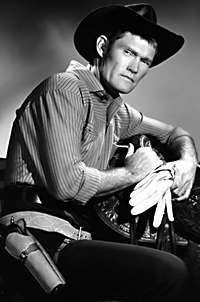 He breaks McCord’s sabre in half, tossing the bottom half out of the fort gate. Now McCord must wander the West in the 1880s hoping to establish his innocence but never telling the story of what really happened at Bitter Creek. Some he encounters believe him to be a coward, while others find his character beyond such transgressions. Along the way, he is introduced to President Grant (William Bryant), who engages McCord to asist in undercover operations for the government. 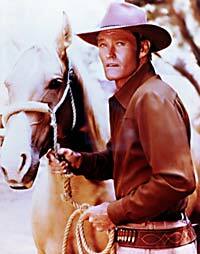 Chuck Connors died in 1992 of lung cancer and William Bryant in 2001 of cancer. TV Guide’s Branded Page, with TV Listings, Photos, Videos, Exclusive News and More.